- Calling handsfree with a better sound quality. - Better intelligibility and less background sound. 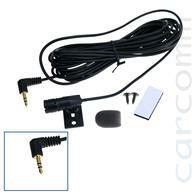 - Applications have a better result with a voice controled carkit. - Also specials and OEM models for projects possible.